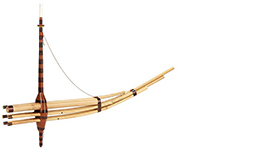 We collect and share artifacts, photographs, and publications that tell the story of the Hmong in Minnesota. Find out how to donate an item to the MNHS collections. Peb khaws thiab qhia txog cov qub txeeg qub teg, cov duab thiab ntaub ntawv txog Hmoob zaj dab neeg nyob Minnesota. Yog koj muaj qee yam xav muab pub tuaj rau peb, thov koj pab muab sau daim ntawv no kom tiav. 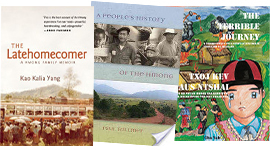 The Minnesota History Center’s Gale Family Library is free and open to the public and contains many books and articles about the Hmong Community. Legacy Amendment grants provide funding for projects of enduring value that preserve and share Minnesota's history and cultural heritage. Hmong studies books from MNHS Press. Audio, video, and transcripts of interviews with Hmong refugees about their experiences before and after their immigration to Minnesota. 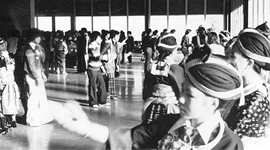 The online encyclopedia MNopedia and the magazine Minnesota History both offer articles that document the experiences of Hmong people in Minnesota. Just for students! Learn about the profound impact the Hmong have had on their adopted homeland in the last forty years.